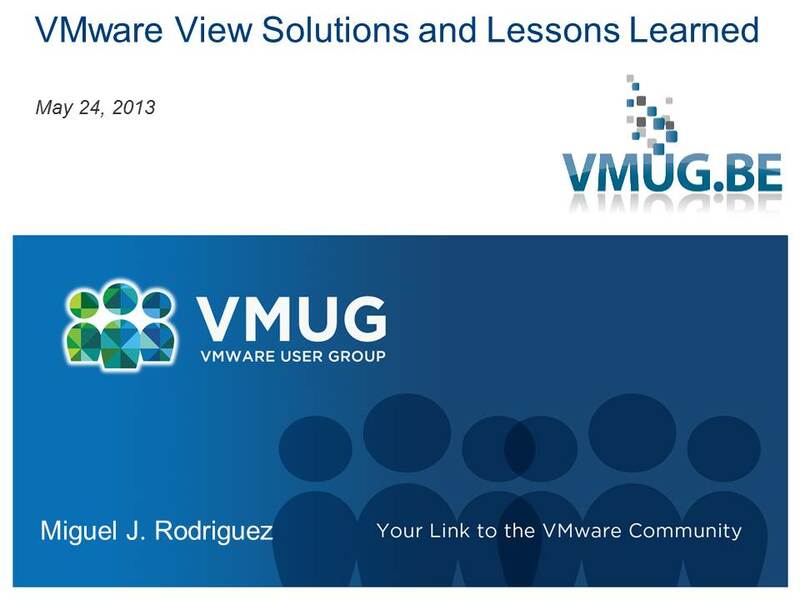 This entry was posted in Uncategorized and tagged View, VMUG Belgium, VMware. Bookmark the permalink. Excellent points in here, Miguel. I’m sorry I missed it. Thanks Mike. We will have to have a VMUG soon. May be presenting at the San Antonio event this month. Hope all is well with you and family!